This center in Stadium Square is the perfect community for entrepreneurs and small businesses. Just minutes from the Baltimore/Washington International Airport makes for a great central location for those who travel or have traveling visitors. Grab a bite at one of the many nearby restaurants. Stop in today and visit this trendy, unique and modern design center tat is here to meet all of your business needs. Offices are being offered at this Inner Harbor location close to many shops, restaurants, and other leisure activities and offers convenience to many nearby courthouses. This centre was erected in 2006 and is an ideal centre for upcoming businesses looking for a professional centre that can provide a range of services that can be tailored to meet the needs of the client. An office and meeting room combined that typically contains two desks and a meeting table. A private office space with a very great view full of natural light, available in all centers, Desk space in a shared office environment, with a hot-desking policy that is first come, first served. Including fully furnished office space and executive suites on the 23rd floor of this glass skyscraper, tenants have beautiful panoramic views of the redeveloped Harbor East area of Baltimore. Current tenants of the building include financial and legal specialists. The high-tech local market is very important within the city, especially with two pioneering teaching hospitals located nearby. Further to this the cities port terminals are still in use, processing imports and exports in large volumes on a daily basis. Serviced office space to rent is located in the Baltimore busy city centre close to the Convention centre and to the Oriole Park; this facility offers a lot of convenience. The centre is situated in a desirable area where offices are offering fantastic views over the Harbour. This centre offers lots of nearby amenities such as dining, ample parking and a Metro station close by. Rental space now offered in a beautiful and historic town centre with a rustic charm that makes this an ideal business environment for the peace loving professional. This centre offers easy access to the downtown location and is easily reachable via the Jones Fall Expressway. This facility was built in the early 19th Century and has been extensively renovated as a modern business centre offering a range of facilities including nearby mail, shops and restaurant facilities. 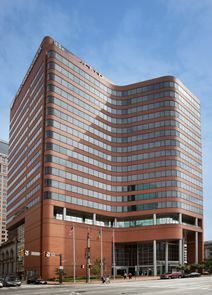 Located next door to the World Trade Center, close to the Baltimore Convention Center and just a few blocks from the city"s main courthouses and Baltimore City Hall, this waterfront business center provides fully furnished flexible office space and meeting rooms with views of Baltimore Inner Harbor. 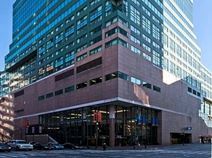 Close to the Baltimore Convention Center and next door to the World Trade Center this location could not be any more ideal.